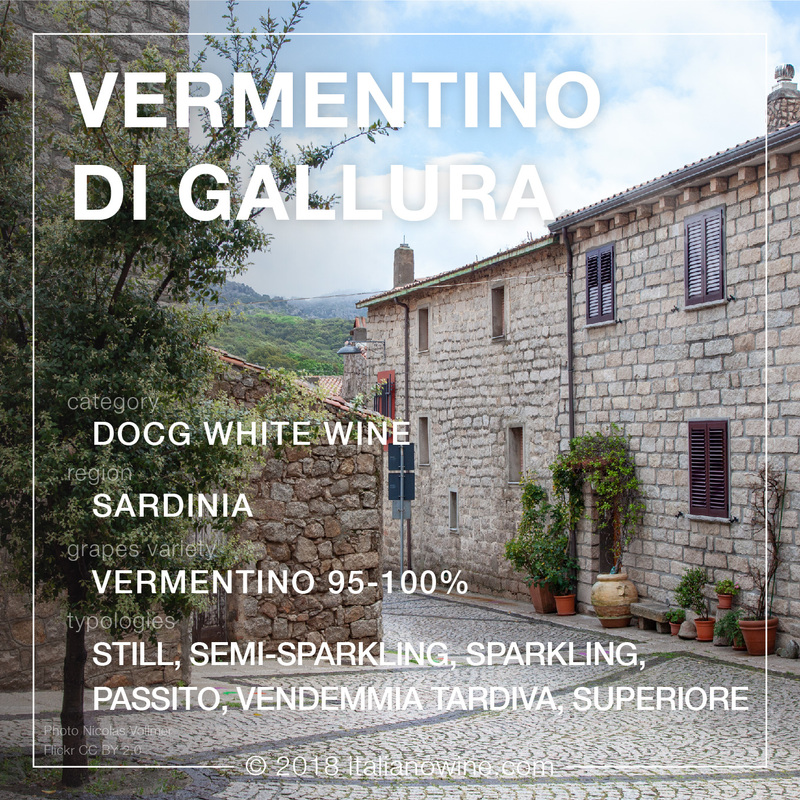 Vermentino di Gallura DOCG is an important designation of Sardinia, unique on the island having the DOCG appellation. Its name derives from the historical region of Gallura, a large area that extends in the north of Sardinia and which includes most of the province of Olbia-Tempio and a strip of the province of Sassari. The designation includes several typologies depending on the wine-making process but, in all cases, they are accumulated by the same vine, the Vermentino.